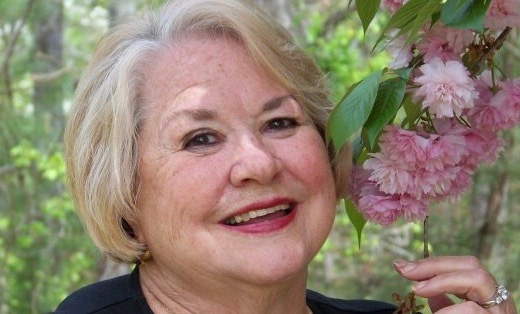 Sue Parker Johnson, age 74 of Hayesville, North Carolina, passed away Sunday, January 13, 2019, at Chatuge Regional Hospital. Sue was born to the late Marvin and Pansy Love Parker on January 20, 1944, in Moultrie,Georgia. Raised in Moultrie, she was a proud alumna of Moultrie High School's Class of 1962 and remained an avid Packer Football fan her entire life. She was a member of First Methodist Church in Hayesville and loved singing in the choir on Sundays. Sue was a expert gardener- and very proud of her "Master Gardener" certification; she loved nature, especially the mountains and lakes of North Georgia and Western North Carolina. She was a wonderful friend and even better mother. As her friends and family would attest, she was always ready with a big smile and a helping hand; she loved life and she was a constant light in her loved ones' lives. Sue often said her favorite job was being a Nana to her two beloved grandsons and they loved her dearly in return. Sue is survived by the love of her life and husband of 54 years Michael Johnson; her only daughter and son-in-law, Andrea and Britt Swilley of Athens, Georgia; her sister Frances Parker Suber of Moultrie, Georgia; her brother and sister-in-law, Kenneth and Judy Parker of Dunnellon, Florida; grandson, John Andrew Swilley of Athens, Georgia; grandson and granddaughter-in-law, Thomas Hayes and Mary Elizabeth Swilley of Painesville, Ohio/Athens, Georgia; and several of nieces and nephews. She was preceded in death by her brother and sister-in-law, Phil and Virginia Parker; sister-in-law, Janie Parker; and her much loved 16 year old Cockapoo "Miss Peaches." Memorial Services will be held in Hayesville, on Saturday January 19th at 11am at Hayesville First United Methodist and in Moultrie on Friday, January 25th at 2pm at the First Baptist Church. Receptions will follow both services. Banister Funeral Home is in charge of the arrangements.